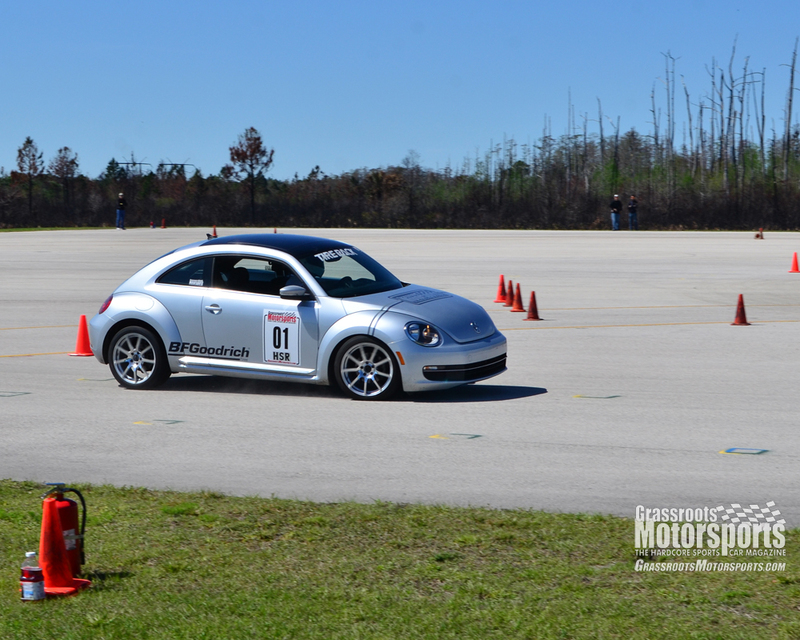 The Beetle was surprisingly capable on course. In the grid, people were drawn to its pure absurdity. Their jaws hit the floor after we said it was diesel-powered. Like most diesel economy cars, our 2013 Volkswagen Beetle has been spending a lot of time doing commuter duty. But all work and no play makes Jack a dull boy, so we signed up for a Central Florida Region autocross, threw our BFGoodrich g-Force R1s in the trunk, and made the hour-long drive to Geneva, FL. We mentioned in the last update that we’d be racing a new VW GTI. So… did we win? Well, no. Unfortunately, our GTI driver chickened out at the last minute, and didn’t show up to the event. We’d have to find another metric to measure our performance against. Luckily, autocrossing is full of measurements and numbers. So here it goes: Out of 105 cars, we were the 37th fastest at the event. We were 25th in PAX, and we won our (one car) class. What does this mean in real life? It means that 370Zs, WRXs (including our own project WRX), M3s, a Corvette ZR1, Porsches, STIs, Evos, M6s, Golf GTIs and a Golf R, Mustangs, and Miatas all lost to our diesel Beetle. For someone that had never driven this car in anger before, we think we did fairly well. Overall, we’d say that’s a win. People were walking up to us all day, saying they had no idea that they still made the Turbo Beetle. Their jaws hit the floor after we said it was diesel-powered. After the event, we realized something going through the results: we did indeed run against a GTI, albeit a different one than we expected. Steve Marcum, in a very well-prepped and well-driven GTI, ran a time of 54.055 seconds, beating our 54.854 by just a hair. Again, not bad for a diesel Beetle. 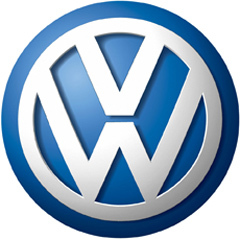 We love all VWs, whether water-cooled, air-cooled, gas- or diesel-powered. Subscribe to Grassroots Motorsports now. I love this! I've been autocrossing my 2013 TDI beetle for about a year. I'm in Alaska so our track is much smaller, but what a great run!!!!!! I've enjoyed reading these posts about your car and the process you took it through. This last weekend I took second in the ladies class. Who beat me? A GTI!!!!!! Lol.